I have spoken to and worked with many serving military personnel and veterans with PTSD and have heard some horrific stories that match some of my own. I never ask for any content of stories and just allow them to tell me what they need to say out loud, in their own way. There are surprisingly innocuous triggers for flash backs, which is one of the many frustrating aspects of PTSD. Those who suffer with it find themselves getting lost in a flash back from minor little daily events that have no apparent connection to anything they have experienced. This recollection is from someone with PTSD and will hopefully go someway to help you understand what PTSD sufferers can be going through on a daily basis. Post Traumatic Stress is an extremely emotionally debilitating state resulting in intense anxiety, intrusive memories and vivid flashbacks that interfere with daily life. Often individuals with Post Traumatic Stress turn to drugs and/or alcohol as a way to numb their emotional and psychological pain or to gain some measure of control in their lives. Unfortunately, chronic substance abuse creates a complicated Dual Diagnosis through the co-existence of a serious psychiatric disorder and an addictive disorder. Recovering from this Dual Diagnosis requires a careful exploration of the causes of Post Traumatic Stress, combined with treatment for drug or alcohol addiction. The nightmares and flashbacks experienced with PTSD tend to be based around incidents that have never been fully resolved in the individual’s psyche. For example, a soldier who survived an ambush and his friends and colleagues died may well have flashbacks related to that incident as a way to work through unresolved guilt, anger and fear. A child who felt powerless while being sexually abused by an older relative might develop and grow up living with constant intrusive feelings of helplessness, guilt and revenge. In women, sexual abuse is one of the most common causes of PTSD and addiction. Combat is another common reason for PTSD, especially in men and this will only continue to increase as a result of Iraq and Afghanistan. In Vietnam veterans seeking treatment for PTSD, between 60 and 80 percent also require treatment for substance abuse and in the UK veterans of the Falklands and Northern Ireland are now displaying signs and symptoms of PTSD, with a growing number living homeless and committing suicide. 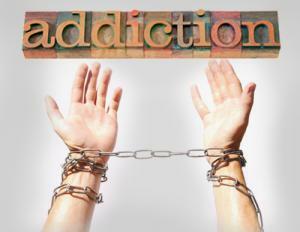 Many are struggling with alcohol and drug addictions that complicate their situation further. Veterans of WWII never received any form of treatment and still suffer 70 years on. Symptoms of PTSD include nightmares, flashbacks, avoidance of situations, thoughts and anything related to the event, severe anxiety, sleeplessness, aggressive behaviour and often severe and aggressive mood swings. These symptoms can strike the individual at any time, mainly when that person is reminded of the events in question and this doesn’t have to be consciously reminded. symptoms of hyper-arousal, such as irritability, anger or extreme anxiety. People who experience these symptoms for at least one month can potentially be diagnosed with PTSD. Alcoholism and drug abuse fall into the category of avoidance symptoms, as the person may use these substances to avoid intrusive/traumatic memories or to numb fear. When alcohol or drugs are used to cope with PTSD symptoms, the symptoms become more severe. As a central nervous system depressant, alcohol worsens depression and anxiety and disrupts normal sleep patterns. Under the influence of alcohol, someone with PTSD is more likely to engage in risk-taking behaviour, such as driving under the influence, or to become aggressive and/or violent towards other people. This is a significant reason why PTSD and substance abuse often lead to legal problems, incarceration, poverty, broken homes and chronic unemployment. Getting the right treatment for this Dual Diagnosis early on can make the difference between an individual leading a satisfying, healthy life, or, losing their relationship, their job, home etc. Symptoms or PTSD can be extremely real, vivid and distressing and because they place such a huge amount of stress on the person, many people with PTSD feel unable to cope and turn to drugs or alcohol as a means of escaping a distressing, altered reality. Self-medication has led to very high percentages of PTSD suffers with alcohol dependence (over 50 percent) and drug dependence (over 30 percent). According to Alcohol Research & Health, many with PTSD will turn to alcohol as a means of replacing the feelings brought on by the brain’s naturally produced endorphins. However, the positive effects of alcohol are only temporary. With an increased use of alcohol, the person can become chemically dependent on the drug and as such will need more alcohol or drugs to continue to produce those numbing effects that temporarily relieve their symptoms. Eventually, dependence can turn into addiction, which is characterised by compulsive use of the substance, tolerance to the drug and an insistence on abusing the drug in spite of its devastating effects. The use of alcohol to numb PTSD symptoms leads to a vicious cycle. Drinking alcohol worsens the fear and anxiety of PTSD, which leads to the release of endorphins. As the effects of the endorphins subside, the individual needs more alcohol to escape the nightmares and flashbacks of PTSD. Anti-addiction medications like naltrexone, an opioid antagonist, can block the positive effects of alcohol, breaking this destructive cycle. Naltrexone, buprenorphine, acamprosate and other anti-addiction drugs can be used in the treatment of PTSD and substance abuse to reduce the overwhelming cravings that lead to relapse. Hypnosis has also proven highly effective in the treatment of PTSD in enabling a person to relax, calm their body and mind, remove cravings, strengthen ego and build confidence, as well as deal with traumatic memories. Recovering from a Dual Diagnosis of PTSD and an addictive disorder demands intensive support from psychiatric and/or psychological professionals, family members and peers. People who are struggling with PTSD and a substance use disorder can be reluctant to seek treatment or even admit that they need it in the first instance. Many who experience PTSD live with intense guilt and shame caused as a result of the traumatic event and their addictive behaviour may be adding to their guilt, making it even harder to reach out and ask for help. Once they enter a treatment programme, they may have trouble finding the motivation to use their recovery resources at their disposal unless they have support and encouragement from an integrated treatment team. Those with a Dual Diagnosis such as PTSD and drug addiction need to work with mental health professionals and addiction experts who understand their special needs. Conventional rehab facilities are likely to be ill equipped to deal with the intense psychological problems brought on by PTSD and equally, a psychiatric facility may not have the counselling and detox programmes available that the individual needs in order to successfully overcome the addiction. What the Dual Diagnosis patient needs is integrated care, where recovery resources are centralised in a single facility, and all the professionals on the treatment team have dealt extensively with Dual Diagnoses in the past.